"My trip was amazing! 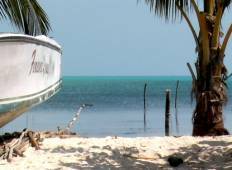 I didn't have any expectations as it was my first trip that..."
"Our trip with Erhard exceeded all expectations! His kind and easy manner created..."
"First time to Central America and this trip did not disappoint. The perfect mix of..."
"Great tour. Our CEO Chris was amazing. He had great knowledge about every place we..."
"Excellent guide, amazing trip, not a single complaint." "Edith has been a very nice guide who really knew all the places and what to do, she..."
"Great trip with so many destinations! A good mix of history and beaches. Make sure..."
"Amazing tour through Mexico, Guatemala and Belize - seen all the beautiful Mayan..."
"Just seeing if it's possible to create a fake review on this site. Five Stars even..."
"Thoroughly enjoyed my first solo tour with Intrepid. 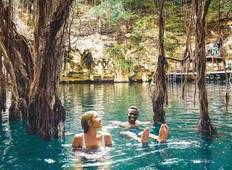 Highlights were ATM caves, cenotes..."
"This is the perfect trip to start exploring the Mayan route and more in Central America...."
"This trip was a fantastic introduction to Central America - I highly recommend! The..."
"Great guide. The accommodations were at bit too basic for the price of the tour."